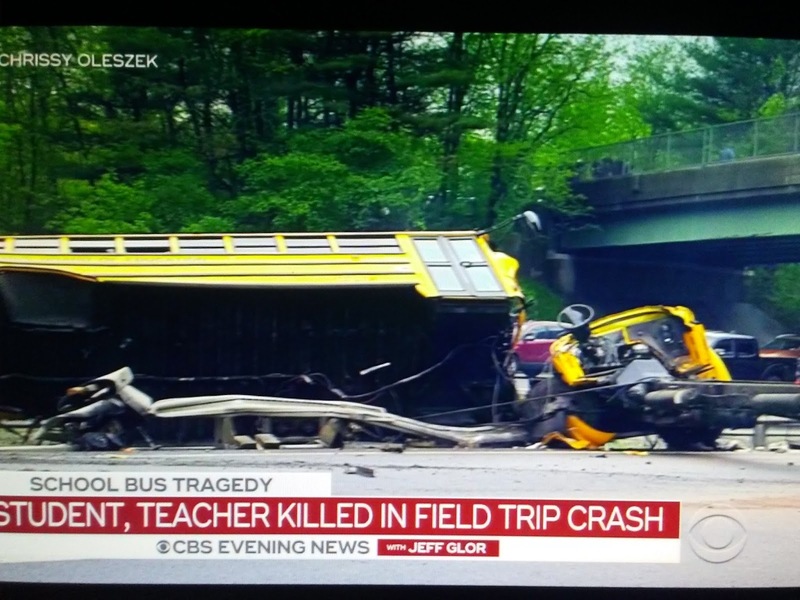 CBS News reports a school bus taking fifth graders on a field trip to a New Jersey historic site collided with a dump truck Thursday morning in a "horrific" deadly incident. 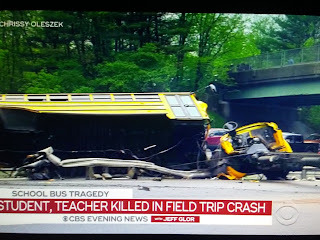 Officials said there were two confirmed fatalities in the crash, which ripped the bus apart and knocked it on its side. One of those killed was a teacher and the other was a student, according to officials. The body of the bus came completely off its chassis and was resting on its side in the highway median. The bus was carrying fifth grade students from East Brook Middle School in Paramus. They were on a field trip to Waterloo Village, which depicts a Lenape Indian community and once-thriving port along the Morris Canal. It is a popular site for school trips.